Description: Place and time of delivery and collection cars agreed with the customer Speed and efficiency are the qualities that our customers most appreciate , as well as a wide range of luxury cars and sports of the best Italian and European brands. Unusual details for a dream car. The Ferrari California surprised by the elegance and unique design in its kind. The sunroof and the refined interior 2 + 2, make absolutely unprecedented and exciting. Supercar performance with an acceleration from 0 to 100 in less than 3.6 seconds. Description: Aggressive and elegant design of the Ferrari 458 Italia, with a compact shape that can give the maximum of the efficiency and comfort. Personal Assistant Top Luxury Service. A single point of contact who will follow the customer from first contact through to delivery of the keys. Description: The determination of the naturally aspirated V8 is noticeable from the first acceleration. The luxury sports car par excellence, with a low seat height and exceptional performanceThe rental includes the selected car in the color chosen by the customer, insurance, road tax and service Top Luxury Personal Assistant Service is available 24 hours on 24. A 5 star service to make your stay in Milan unforgettable. 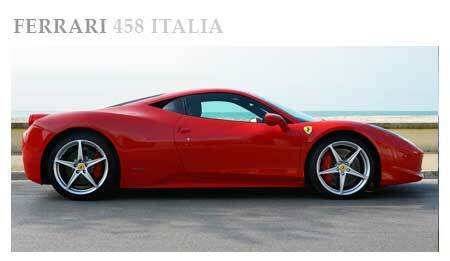 Description: Ferrari 458 Speciale is one of the undisputed protagonists for luxury car rental in Europe. The color combination between the interior and the exterior, further enhance the beauty of the car. The power of the naturally aspirated V8, makes driving the car pure emotion. The accelerator goes up to 325 Km / h, with a sprint from 0 to 100 in just 3 seconds. Available for rental with immediate delivery. Steering precision and stability even at its maximum capacity. On the track you touched 320 Km / h with a surprising simplicity of driving. Available for rent with immediate delivery. 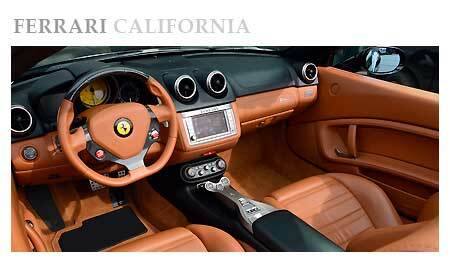 Top Luxury Service rent for short term or holiday weekend Ferrari California, Ferrari 458 Spider, Italy Ferrari 458 and Ferrari Special. Experience the beauty of Milan, on board of a luxury car. Elegance and glamor with the utmost in exclusivity. At the exit of the arrivals gate at Malpensa Airport, your Personal Assistant Top Luxury Service will hand over the car keys. You'll hear the roar of the engine, in less than 5 minutes from the gate. The speed of delivery and an exclusive 5-star service, characterized Top Luxury Service by years, in the luxury car hire all over Italy. Ability to return the car in different cities, both in Italy and in Europe. Top Luxury Service specializes in rental of Ferrari for weekends or short periods, with delivery in Milan (Linate airport, hotel, villa). 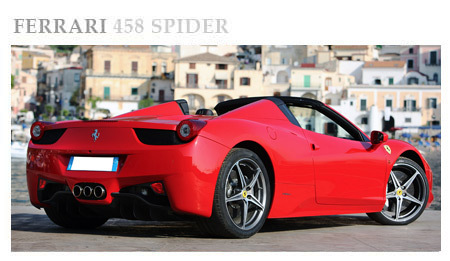 With immediate availability: Ferrari California, Ferrari 458 Spider, Ferrari 458 Italia, Ferrari Speciale. Special Price Expo 2015. Luxury Hotel & Villa in Milan Italy. Top 10 milan things to do: Visit Bulgari Hotels & Resorts, Armani Hotel Milano, Seven Stars Galleria, Armani Privé, Fashion Night al Just Cavalli, Via Montenapoleone, Via della Spiga, San Siro, Rho Expo 2015, Ultima Cena Da Vinci. The impeccable elegance of the car Top Luxury Service will amaze you with the comfort and exclusive details. All our Ferrari are full-featured, with the characteristic aroma that will fill yourself again throughout your vacation. Choose the car of your dreams. 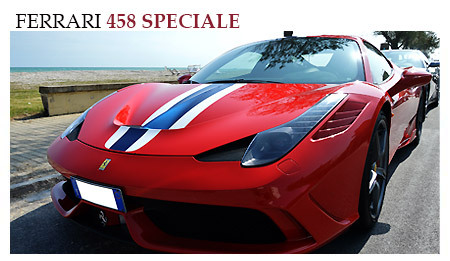 Rent a Ferrari in Milan, means an exclusive holiday to live in the fashion capital. One of the most important cities in the world, a place loved by models and models wearing the brand Made in Italy all over the world. Choose the car of your dreams and live an unforgettable experience in Italy. Reviewed by Mark on Jun 12 . Description: Top Luxury Service offers to its customers a wide range of exclusive services. Delivery can take anywhere from Milan downtown, villa, hotel, station. Availability even during night time at the discretion of the customer.